This story is during the Civil War era. A young woman named Portia loses her husband and daughter both by tragic means. She begins to look for work and has found employment as a schoolteacher for Beau Stanford and his son Jonny. Portia faces a few issues. One she is a Confederate although neither her husband nor she ever owned slaves. Her future employer is a Yank. When Portia arrives, she finds out that Jonny is a mute or so they all seem to think. She breaks through his shield though. This house has gone through such heartache and Portia of all people understands that. Beau's wife’s family is visiting and her cousin Lydia has more in mind than just visiting. Feelings are stirring between Portia and Beau but will it go anywhere? And will Harry ever stop? I actually enjoyed this book very much. The storyline is strong and well written. It does take you one very heart breaking roller coaster ride. There were some grammar issues however with missing words here and there but it' did not take away from the story. 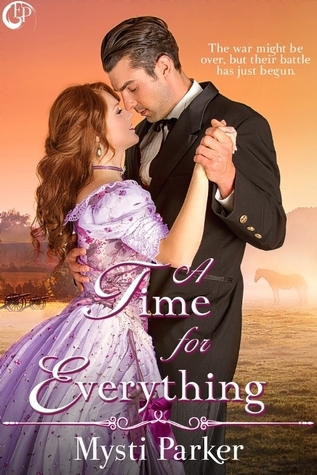 I would recommend it to anyone who likes Historical Romance.